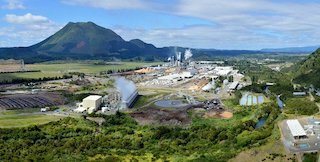 Ixom seeks clearance to acquire chemicals plant from Oji - The Commerce Commission has received a clearance application from Ixom Operations Pty Limited to acquire chemical manufacturing assets in Kawerau from Oji Fibre Solutions (NZ) Limited. The proposed transaction would see Ixom take ownership of Oji’s chemical manufacturing assets in Kawerau. A public version of the clearance application will be available shortly on the Commission’s case register. Background - We will give clearance to a proposed merger if we are satisfied that the merger is unlikely to have the effect of substantially lessening competition in a market. Further information explaining how the Commission assesses a merger application is available on the Commerce Commission website.